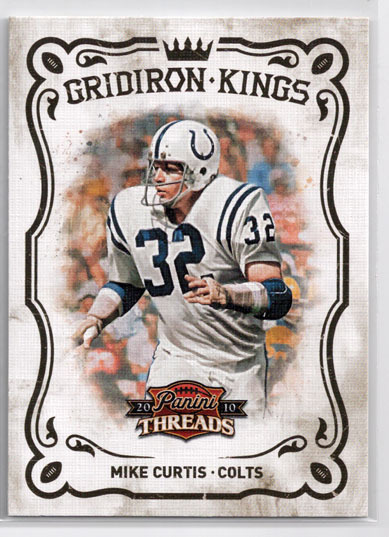 Classics Threads is a slightly above average football card offering that lacks variety and is virtually indistinguishable from Panini's other football card products. That's not to say it is a bad product by any means, it just lacks the creativity of a great product. 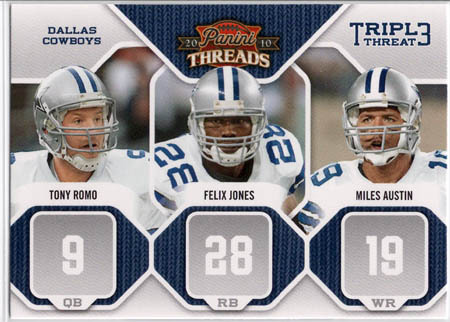 The one area Threads really excels in is the base set photography, which is among the best Panini has ever done. 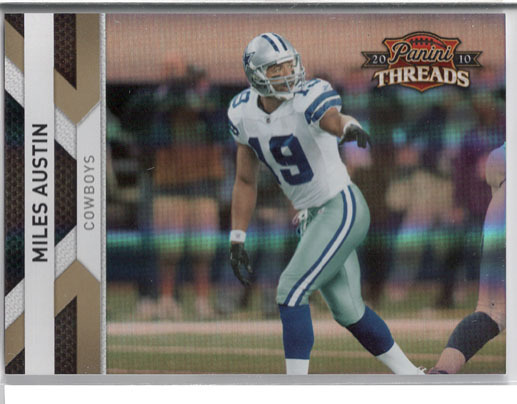 Threads has it moments and delivers four hits per $90 box, so it's not too risky of a proposition, I just wouldn't recommend it over products like 2010 Rookies & Stars and 2010 Topps Football. 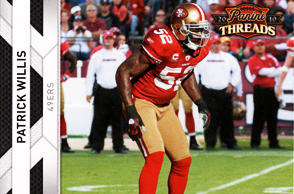 The base card design has been drastically improved, the horizontal orientation of the base cards is a welcome change. 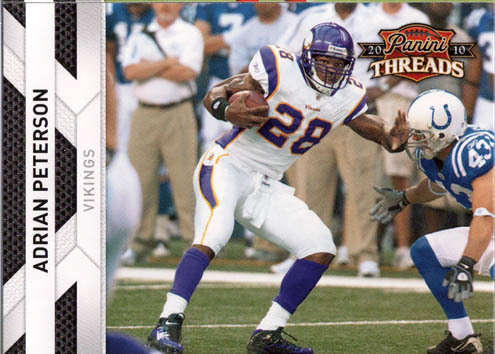 The base card photography is also among the best of the 2010 Football Card Season, it's a shame they aren't worth very much. 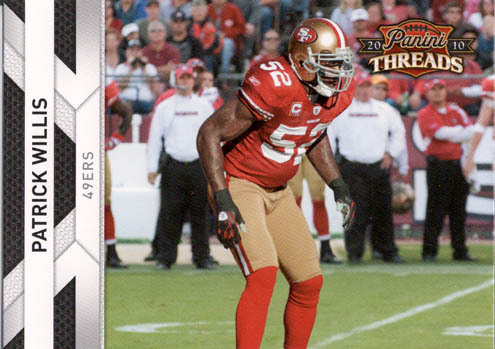 The main issue I have with the product as a whole is that the cards look far too similar Prestige, Classics, and Rookies & Stars, especially the inserts. 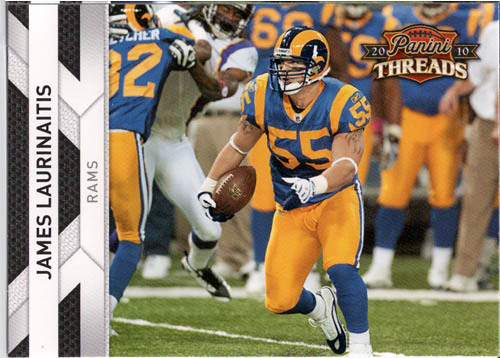 The checklist is almost identical to every other 2010 Panini Football product. 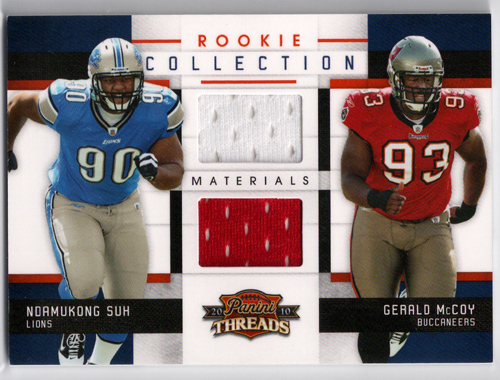 I was hoping for an updated Rookie Checklist based on pre-season developments. 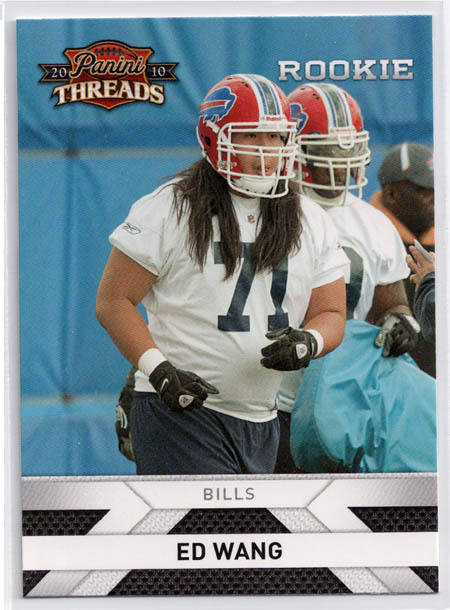 You would think that the Cardinals Rookie backup Quarterback Max Hall would have made the checklist somehow, he might find his way onto the field before he even has a football card. 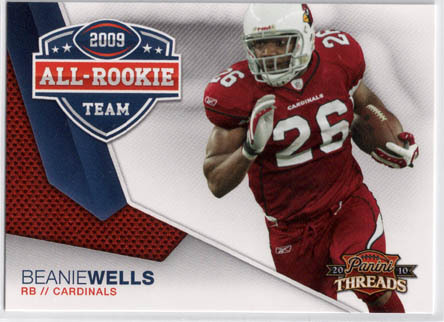 The checklist does have the biggest names in the 2010 Draft Class, I just wouldn't recommend it for those who are big on prospecting deep sleepers. 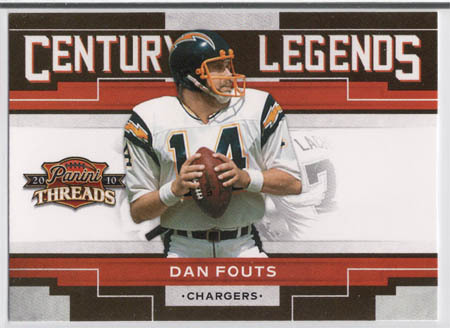 Past legends are also well represented, so if your an old school football fan, there should be a few players on the checklist you'll enjoy. 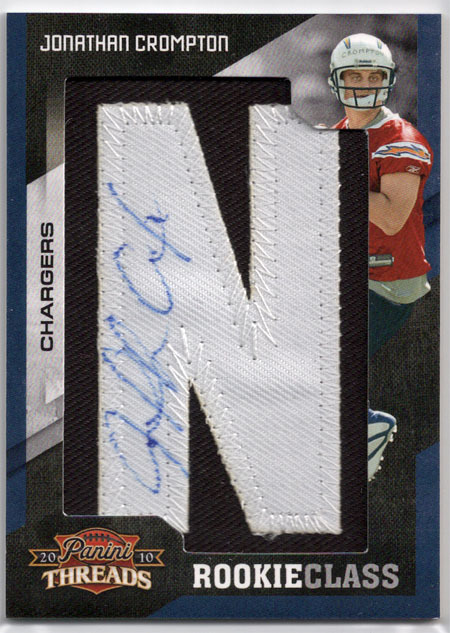 I'm not a big fan of the Lettermen craze, but there are plenty of people who are, so the fact that the Rookie Class Autographed lettermen are seeded at a rate of roughly 1 per box gives the overall value of the product a boost. 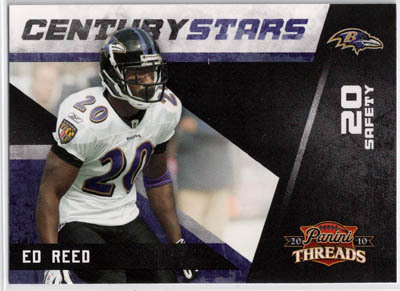 There are a few inserts that feature relics and autographs of big name rookies that could also pay dividends. The big problem with Threads is that you have to get a great box to break even. 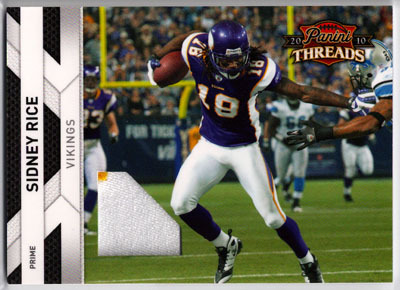 Overall, Threads is a more enjoyable product than 2010 Panini Classics, but not nearly as fun to rip as 2010 Rookies & Stars or 2010 Topps Football. 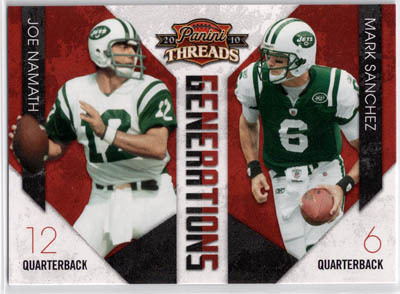 If it's a great time your seeking, I would stick with one of those, but if your the type of collector who likes to try every product, Threads should make for a fairly enjoyable box break. 2010-11 Panini Threads Factory Sealed Basketball Hobby Box John Wall ROOKIE? 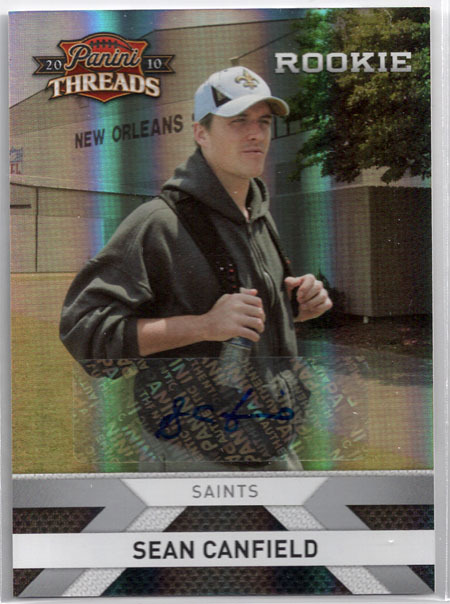 2010 Panini Threads HOBBY Box Rob Gronkowski Rookie RC Auto Gold Pigskin 1 1? Nice review. My wife went to the hobby shop to surprise me with some packs and picked these up. I haven’t been in the collecting way since we had our first child two years ago. But it was a very nice surprise indeed. Needless to say, these were very disappointing. She got 5 random packs and got nothing of note. Last couple times she did this I always got at least memorabilia or an auto. Dems da breaks I guess!